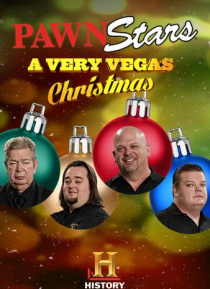 Celebrate the holidays Vegas style as the guys from Pawn Stars, Counting Cars and American Restoration get together for a Christmas barbecue. First they'll deck the halls with pawn shop drama, when they debate the best and worst deals they've ever made. Then, the guys take a look back at all of the amazing restorations that Rick Dale and Danny have done for the pawn shop. And later, it's finally t… ime to eat. But can these guys cook as well as they negotiate?